There is a place that is mere hours away from Manila, this place is known for its cool climate, amazing food and beautiful homes for sale. Tagaytay offers anyone who visits the complete vacation experience. One of the main reasons that Tagaytay is so popular is because of the food options. Tagaytay is a hot bed of pop up restaurants that you cannot find in other parts of Manila, it seems that a new food stop pops up every week. Of course, you can’t beat the classics that draw the crowds such as the pies and bulalo. Though there are some secret places that you should definitely visit when you’re in the area. 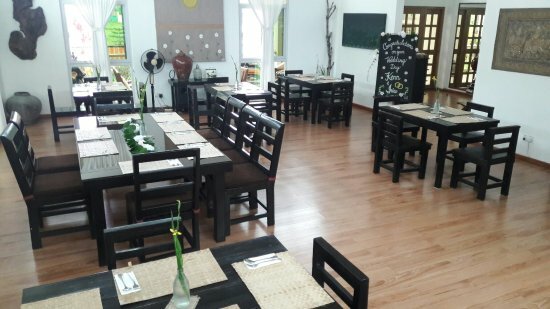 6 Secret Restaurants in Tagaytay . Image Source. The owner, Nanay Cirilas and her daughter-in-law runs this cute and charming café. Not only do they serve great coffee in a relaxing atmosphere. If you’re looking for breakfast this is the place to go to, they serve both American and filipino breakfast all-day. 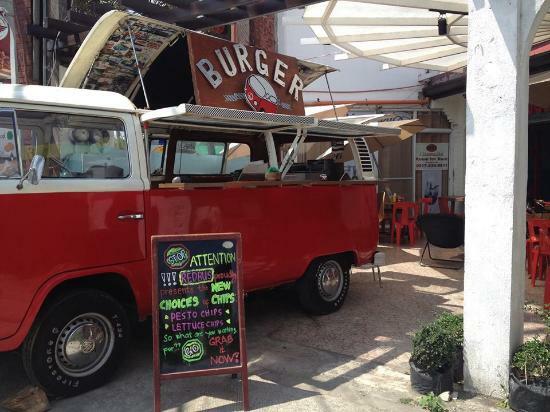 Located in the Tagaytay-Nasugbu highway is a classic American themed food truck. This diner specializes in your favorite comfort food off-the-grill. Their menu consists of burgers, burritos, fajitas and milkshakes to wash them down. This is a great stop especially for those on a road trip, you can take some out and go on your merry way. Tagaytay has its fair share of Filipino restaurants that serve some of the best of your childhood favorites and now there is a spot that serves authentic Vietnames food as well. You can indulge yourself in fresh spring rolls and complement the cold weather with the signature Pho noodles. You can also enjoy Vietnamese drip coffee or as it is called ca phe sua da. Gourmet farms is known for growing organic produce and beans. They sell these products in the open market. What is not as well knows is the dining room within the farm. Here you can sample their organic produce in dishes that highlight the freshness of the products they grow. They also sell coffee blends and other dips and greens that are also made from their produce. Another restaurant that gets their ingredients fresh from their own farm. Authentic Thai food is dependent on the quality and freshness of the herbs that they used. This restaurant excels in that because their ingredients from their own backyard. You can even take a tour of the garden itself and see they only use quality ingredients. Milagros is more than just another posh restaurant, this is the type of dining experience to celebrate special occasions. This is a reservation only restaurant, reservations must be made 3-5 days in advance, to prepare your personalized Filipino menu. The menu is complemented perfectly by the intimate and secluded area. Also, this restaurant can only accommodate 16 people at once. If you’re going to want an intimate dinner this is the place to go. These are few of the many secrets that Tagaytay has to offer, the quality of the location and food makes the drive up worth it. You now have one more reason to keep coming back to Tagaytay. The challenge of where to start is what you really have to think of now.